Welcome to the Troop 103 website! 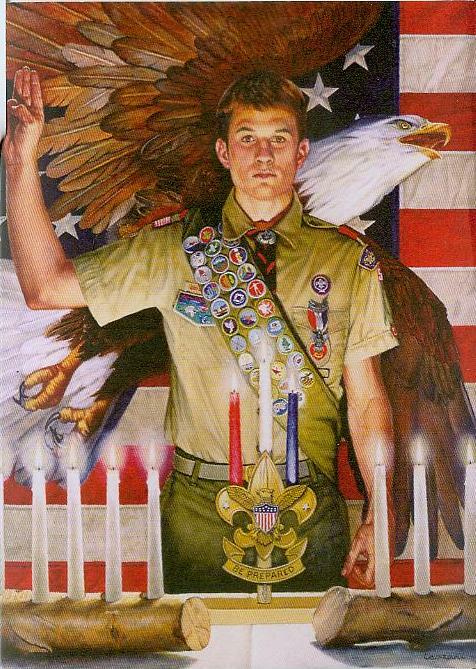 If you are a Troop 103 Scout or parent, please register and logon to our website. This website is our main source of communications about Troop Activities and Events. Registering also gets you onto our Troop mailing list. If you are new to the town or scouting and would like to find out more about our Troop please email scoutmaster@t103.org. We will be helping the Mahomet Public Library clean up after the book sale this Sunday at 4:00pm. Please meet at the library. We will hold our Spring 2019 troop elections on March 26th. All scouts interested in running for a senior leadership position should come prepared with a brief written speech that describes why he is the best candidate for the position. We will be attending Ingersoll Scout Reservation on June 23 - 29 for Summer Camp this year. We travelled to Ingersoll last summer, and the scouts all voted to return again this year. More details will be available soon. Because of the extreme cold in the forecast, the troop meeting on January 29th is cancelled. Please stay safe and warm this week, and we'll see everyone again on February 5th. I hope everyone is enjoying their winter break and is able to spend quality time with their family and friends. Troop meetings will resume on January 8th, when we'll be preparing for the Klondike Derby on Jan. 25-27. Due to expected low attendance, we're going to cancel this week's meeting. Have a safe and happy Thanksgiving, and we'll see you all on the 27th!